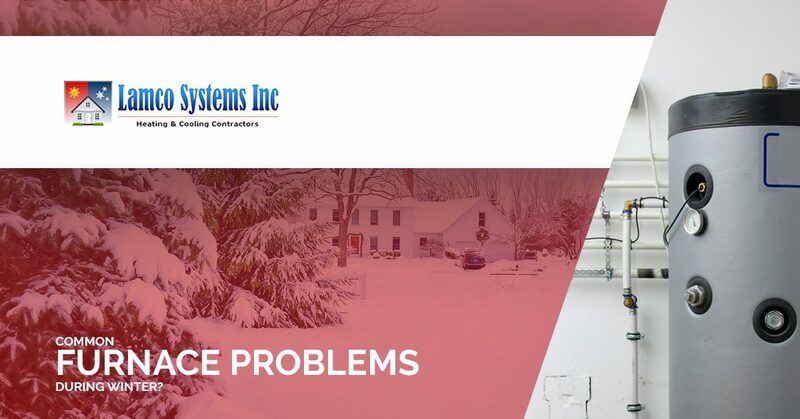 At Lamco Systems in Merrimack Valley, we know that you and your family rely on your furnace during the winter to stay warm and cozy. When something goes wrong, you need an experienced HVAC team that can come to your home, diagnose the problem quickly, and provide the necessary repairs. Since there are a number of things that can go wrong with a furnace during the colder months of the year, we wanted to share a few of the more common problems that we’ve encountered over the years. Read on, and if you need service this winter, don’t hesitate to call! 1. Clogged Filter – One of the biggest problems that can plague a furnace is also one of the easiest to fix. A clogged filter can cause the system to cycle on and off more frequently, which increases the overall wear and tear on your heating setup. If the unit stops working entirely, you could be faced with some serious repair bills. If you’re not sure which filter you need or how to replace it safely, contact us right away. 2. Broken Fan Belt – If you hear strange noises coming from your furnace, especially squeaking or squealing, chances are it’s the fan belt. This belt keeps the fan moving, and if it breaks or comes loose, the unit could shut down or become damaged. We can provide the necessary replacement parts, eliminating the annoying noise in the process. 3. Faulty Thermostat – If the thermostat on the wall isn’t calibrated correctly, or it’s so old that it can’t register the proper inside temperature, your system could run more than it should or not turn on when you want it to. A new smart or programmable thermostat can be a lifesaver when it comes to the winter heating season. 4. Cracked Heat Exchanger – This is part of the furnace that actually heats the air as it moves through the unit. If your fuel source is propane or natural gas, there is a combustion procedure that heats up the air as it passes through the system. Cracks in the heat exchanger can release carbon monoxide into your home, which can pose a serious risk to your family’s health. If you’re concerned about this part of your furnace, give us a call now! 5. 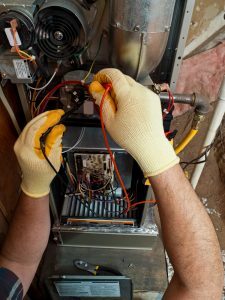 Failed Ignition System – With gas furnaces, the pilot light is responsible for lighting the gas in the burner assembly. This ignition system is key to heating the home, and if the pilot light goes out or the burner is dirty or clogged, it could cause the system to fail or not turn on at all. Regular maintenance and upkeep is the best way to ensure your system’s ignition works as it should. These are just a few of the issues that a furnace can experience over the course of the winter. If your system is getting up there in years and you’re not sure it will make it through another season, make an appointment with Lamco today. We have the knowledge and experience necessary to find the problem and keep your furnace running smoothly all winter long.